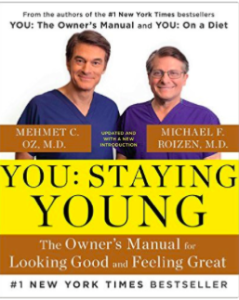 One’s of TV’s most popular daytime talk show host, Mehmet Cengiz Oz is also a cardiothoracic surgeon and author, who has become a very popular TV personality, offering medical advice and therapies involving alternative medicine. He is also the self appointed captain of the Energy Mobile but his advice has sometimes led to criticism by physicians, government officials and publications, including Popular Science and The New Yorker, citing it for being non giving non-scientific in nature. Oz was born in 1960 in Cleveland, Ohio, to Suna and Mustafa Öz, who had emigrated from Konya Province, Turkey. He received an undergraduate degree from Harvard University and in 1986 he obtained MD and MBA degrees from the University of Pennsylvania School of Medicine and their Wharton School, respectively. There’s no better way to get to that village, of course, than through television, and Dr. Oz began spreading his word through that medium, first on The Oprah Winfrey Show in 2004 and later on Larry King Live and other TV programs. 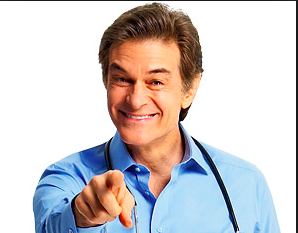 In 2009, “The Dr. Oz Show,” a daily television program focusing on medical issues and personal health, was launched by Winfrey’s Harpo Productions and Sony Pictures. He’s been a popular fixture on the television landscape ever since. 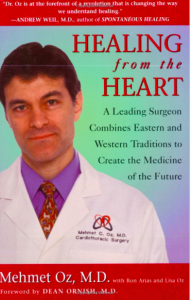 On October 23, 2014, “Surgeon Oz,” a documentary covering Oz’s career as a surgeon, debuted on Oprah’s OWN channel. 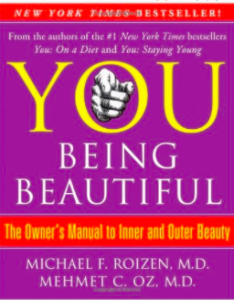 Dr. Oz also has a regular column in Esquire magazine and O, The Oprah Magazine and his article “Retool, Reboot, and Rebuild” was awarded the 2009 National Magazine Award for Personal Service. Deciding to launch his own publication, Oz launched the bi-monthly magazine “Dr. Oz The Good Life” in February of 2014 with the Hearst Corporation. All of his hard work and a high media profile have paid off in terms of his public image. Awards and honors have come his way in the form of Time magazine’s ranking him 44th on its list of the “100 Most Influential People in 2008,” and Esquire magazine placed him on its list of the “75 Most Influential People of the 21st Century”. He was also named one of “The Harvard 100 Most Influential Alumni” by 02138 Magazine, and listed in “Doctors of the Year” by Hippocrates magazine and in “Healers of the Millennium” by Healthy Living magazine. 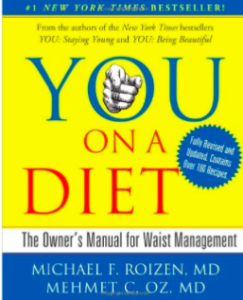 Critics, including some in Congress, have questioned the advice given by Oz, especially when it comes to promoting questionable diet aids. A group of ten physicians also urged that he be removed from Columbia University‘s medical faculty, accusing him of promoting “quack treatments.” As a result he has dropped sponsorship of the treatments and products in question. 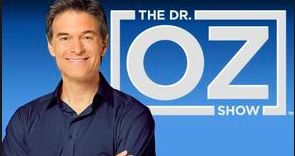 In the meantime, The Dr. Oz show has lost half its viewers over the past five years and some of its credibility. After the contentious and somewhat humbling takedown by some of his colleagues, Oz is trying to retool his television show, espousing a mantra of “Heal Thyself.” He has sought feedback from doctors in various specialties to get advice on how to recast his message, which was moderately successful. One of the problems with his success was that Oz had become a lightening rod for reaction against progressive approaches to health care that many doctors feel threatened by. Patients today are much more informed in terms of diseases and treatments and often visit a physician after consulting with WebMD or other medical information sites online or getting advice from a popular televised medical expert. That’s a situation that can impair a traditional physician-patient relationship, and Oz said he understands how annoying that can be. This season is important for Oz to determine his long-term viability, according to Bill Carroll, an expert on the syndication market for the Katz Television Group, and show’s switch from ABC to lower-profile Fox affiliates in several markets, and the cutting of broadcasts cutting to once a day has impacted ratings. 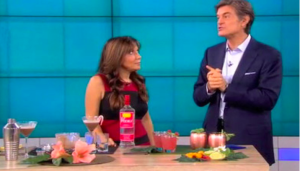 The producers of the Dr. Oz show have detailed a number of new topics that will be addressed on the new season. “The Healthy Mind Project” will examine many areas of mental health, addiction and happiness. 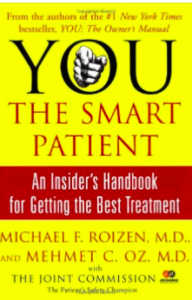 He wants to help viewers understand the tremendous amount of information available to them and, in keeping with the theme of “Heal Thyself,” understand enough about their own physiology and psychology to use the information to their best advantage. 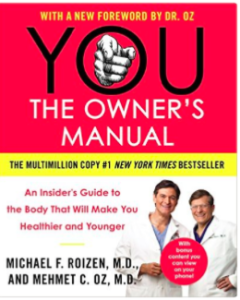 That may not win him any fans in the medical community, who will likely see this as a threat to their authority in medical expertise, but it may endear Dr. Oz to a new generation of viewers and fans who choose to take control of their own health and decide that they have the ability to heal themselves through positive self-regard, mindfulness and meditation, going to the source of the problems, instead of looking for ways to constantly medicate the symptoms. Producers say they also intend to add depth to the show. 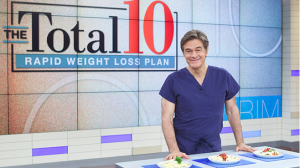 “The Dr. Oz Show” has typically introduced new topics after each commercial break, and now the programming will give certain topics more time if needed. This is designed to address viewers who are telling him they want to spend more time with their television doctor, to “hold my hand, metaphorically speaking,” Oz said. The mind is the master of everything you attract into your life and your way of thinking has much more to do with your health and well-being than you might realize just yet. On the pages of Youthful and Ageless™ we promote an Honorable Cause besides a wealth of information: and that is Academic Research. We also include the Enetrtainment industry with its many true stories about human health and way of thinking as well as celebrities stand up to one cause or another. We do hope that we can pull the best and most evolved resources under one umbrella and be the “go to source” as these topics we combine cannot exist without one another. This key element has been overlooked until now. Our International communication platform will close the gap. And, it will speak to half a billion people based on clear cut factual statistics. YouthfulandAgeless™ Bringing Information to Billions, An Honorable Cause is the first leading force in the World in a complex logistical way, which in a few years will be as natural as computers are today. But, we just did not understand computers 21 years ago. Let’s join forces and save the human race.